Another difference here is that the form for adding a new field or for adding an existing field is separate from the manage fields listing page. We need to click the add field button in order to get to that form. The workflow has been made simpler and more intuitive. You have to select a field first and if we do select a field, I'm going to select text plain, then we get the option of adding a label. The list of fields that we have to choose from have changed quite a bit in Drupal 8. And in order to see these side by side I've taken a screenshot of each one so that we can compare them. 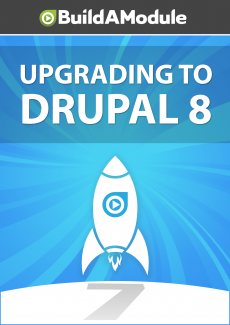 Over here we have Drupal 7 and over here we have Drupal 8. So the first thing you might notice is that Drupal 8 groups the field types. So instead of it being alphabetical all the way down the line it groups them by the kind of information that we're trying to capture. Number, reference and text are all straight forward and then general is sort of a catch-all for other fields that we would want. Drupal 8 also includes a number of fields that aren't available in Drupal 7, including date, email and link. Each of these three were individual contributed modules that you'd have to install separately.